The 3DPlot AutoCAD add-on utility we have released a couple of days ago can be used to "materialize" (print) math expressions describing interesting 3D surfaces. This can be used both for educational purposes and for manufacturing nice pieces of technical art. 3DPlot generates 3D mesh surfaces from any math expression of the type Z=f(X,Y) that you encode in AutoLISP. The generated surface models can be visualized in DWF, VRML or in other 3D formats. You can also smooth and thicken most of these surfaces using the AutoCAD modeling commands (MeshSmooth, Thicken) or using the 3DPthicken command. The resulting solid models can be 3D-printed directly from AutoCAD or exported to STL (stereolithography) files. STL files can be used e.g. 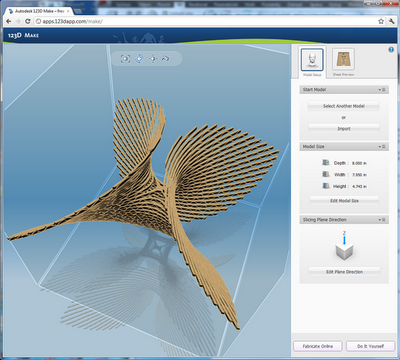 in the free fabrication tool Autodesk 123D Make to produce cardboard models. So you can materialize your 3D math equations in multiple ways. Users of the mobile phones and tablets based on the Apple iOS and Google Android operating systems can now download an updated version of the mobile/cloud DWG editor - AutoCAD WS 1.4. 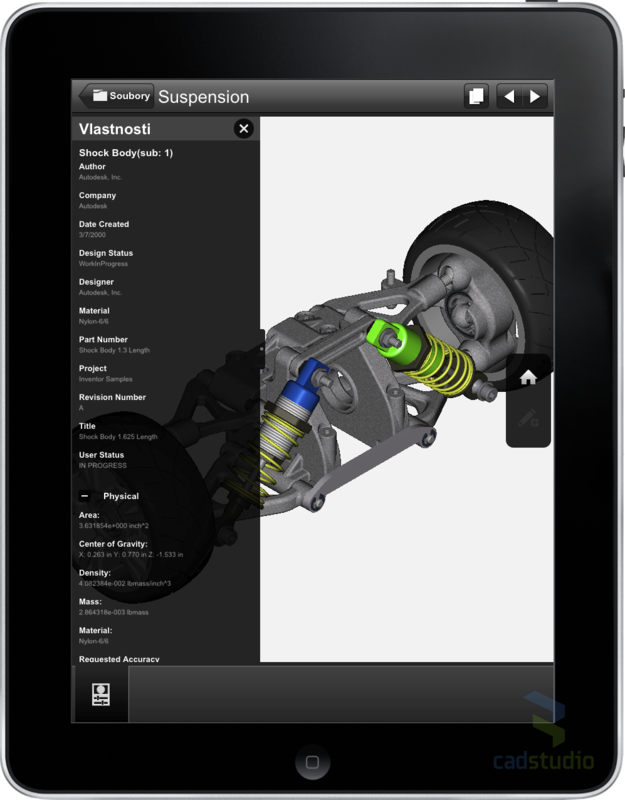 Autodesk has released a new version of its free mobile viewer for 2D and 3D CAD data - Autodesk Design Review Mobile 2.0. The new version of this fast and easy-to-use viewer is available in multiple languages, including Czech. The language selection is automatic. Autodesk Design Review allows fast interactive viewing of drawings, 3D models, and complete project books from AutoCAD, Inventor, Revit and other CAD applications (not only from Autodesk). You can not only view the data, but also review and comment the contents by adding text notes directly to the corresponding locations in the drawing. 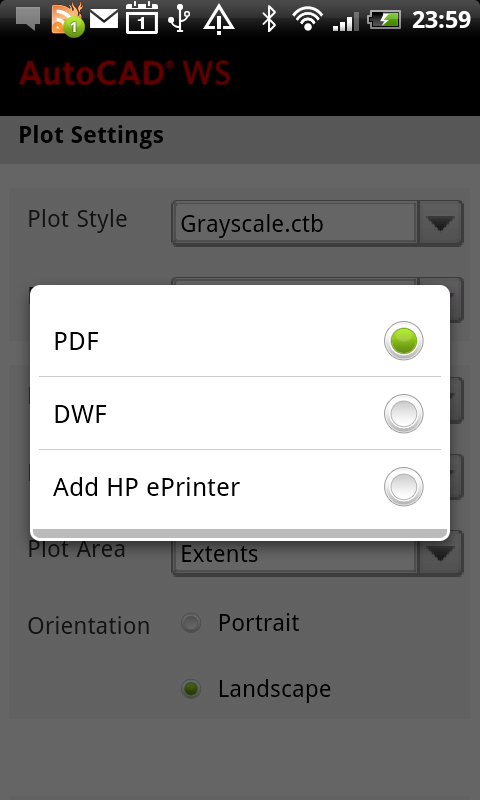 Design Review Mobile uses - similarly to its desktop version - the efficient CAD publishing format DWF, which is supported in most CAD applications (you can also install a Windows virtual printer). 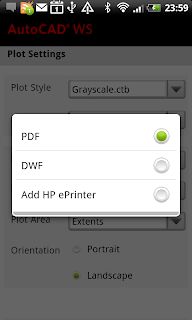 The DWF documents are opened for viewing on the mobile devices from the web online repository Autodesk Cloud (the last used documents can be also used off-line). They can be also saved back to the cloud, along with any comments which you can then easily sync back to the original CAD design application. And if you need also to edit your design data on the go, use another free mobile application - AutoCAD WS. 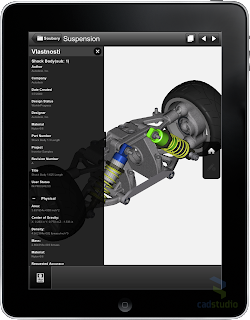 Autodesk Design Review Mobile 2.0 is currently available for Apple iPad and iPhone (iOS), a separate version for Android smartphones and tablets is in the works. Supported languages​​ are: English, German, French, Italian, Spanish, Japanese, Korean, Chinese, Russian, Polish, Portuguese, Hungarian, and Czech. 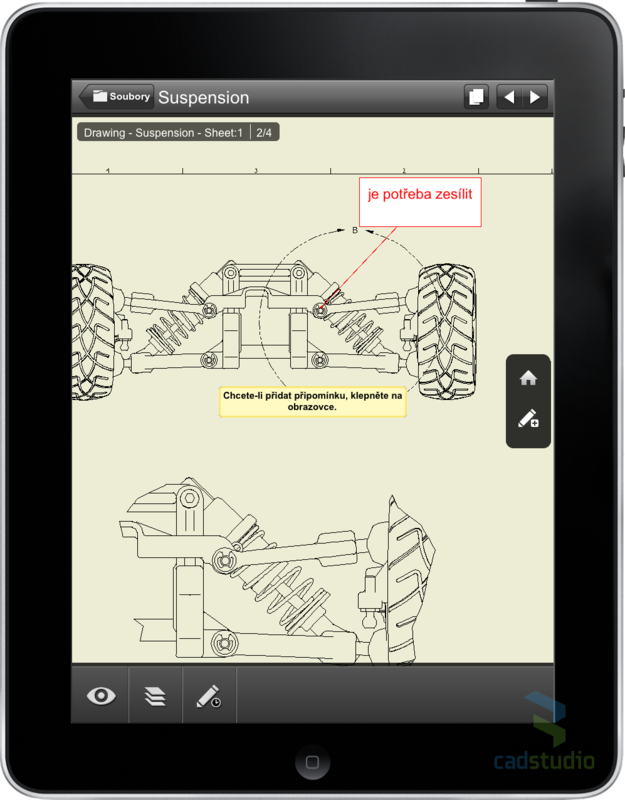 You can download Autodesk Design Review Mobile from the Apple App Store. An interesting functionality extending the standard AutoCAD linetype mechanism is hidden (almost unnoticed) in the DGN Import command. 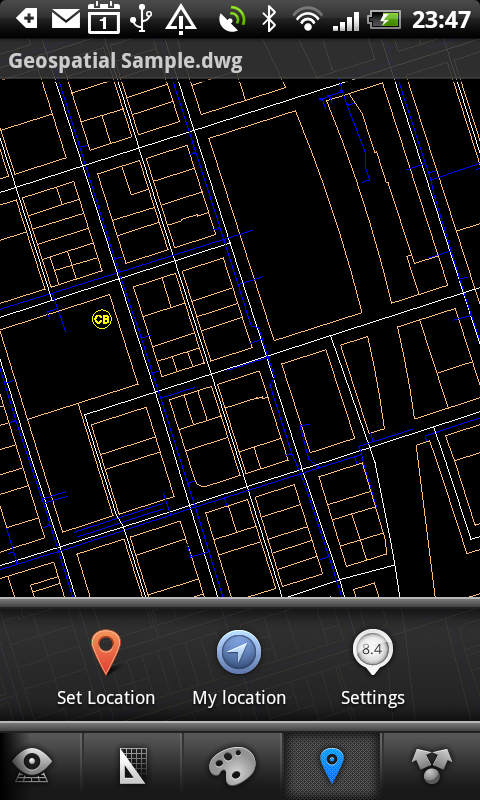 This functionality is available since AutoCAD Civil 3D 2011, plus in all versions of the AutoCAD 2012 family. The DGN import allows to convert and use special linetypes which were otherwise unreachable in AutoCAD. Lines and polylines with these linetypes behave like standard DWG entities but their extended linetype definitions do not translate back to older versions of AutoCAD, nor can be exported to .LIN files with our LinOut utility. 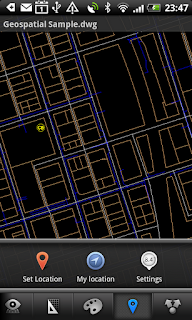 More information in the CAD Forum tip Unusual AutoCAD linetypes from RSC. After Autodesk announced the end of support for Windows Vista (only for the upcoming 2013 family), I understood that it is time to say goodbye to my good old installation of Windows Vista 64 and upgrade it to a standard Windows 7 64-bit. The 2013 versions are close enough. If you have - like me - your system bugged with dozens of applications, you definitely don't want to reinstall them individually. Therefore, it is out of the question to perform a clean installation of Windows 7. Fortunately there is an option to do an "in-place" upgrade to Win7 - it maintains all the installation and settings from the original Vista operating system. Here is my fresh experience from such upgrade. The whole process is very simple. From the installation DVD "Windows 7 Enterprise 64 SP1" start SETUP.EXE (as a standard Win Vista program), choose the type of installation (in-place) and then just wait. Wait a lot. I have expected the upgrade will take about two hours, after all my workstation (HP xw4600 Quad-Core 2) is no longer the youngest horse. But waiting took longer, much longer than that - the whole upgrade process eventually lasted 7 hours! Yikes! I recommend to perform the upgrade overnight -- after the initial prompts, the process is fully automatic, it does not ask for anything, reboots itself as necessary -- and you won't get nervous from its multiple apparent "hangups". The messages like "20% completed" and "40% completed" and "72% completed" can hang on screen for tens of minutes. Do not give up. And when you reach for the reset button (even this is quite safe, the upgrade will reportedly roll back to "Vista"), hold on and really do not give up. This upgrade can be simply slow. 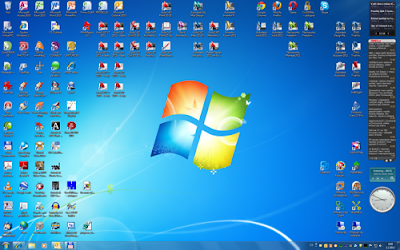 The result of these 7 hours of hard work is exactly the same looking and same working Windows 7 operating system (see the picture), all applications running, network networking, printers printing, user settings are retained, desktop icons are in place, you will have even more free disk space (probably the old restore points were deleted). Just beware, Autodesk local licenses may be deactivated (Error 5.2.2) - it can be easily remedied by online activation, or by e-mail to the factory.